This vegetable side dish was inspired by a walk through my local farmer’s market a while back. As new fresh veggies come in to the market, I get more and more excited to bring new stuff home. I also recently went on a shopping frenzy at my local Korean grocery store. I managed to pick up my favorite kind of miso, red miso. Red miso is a rich fermented soy bean paste that lends itself to heartier foods. It’s perfect for a braise and bok choy works well with it. This bok choy comes together in just a few simple steps. We served this with some grilled salmon. I hope you enjoy! Add in the shallot, garlic and ginger. Cook a few minutes to soften. 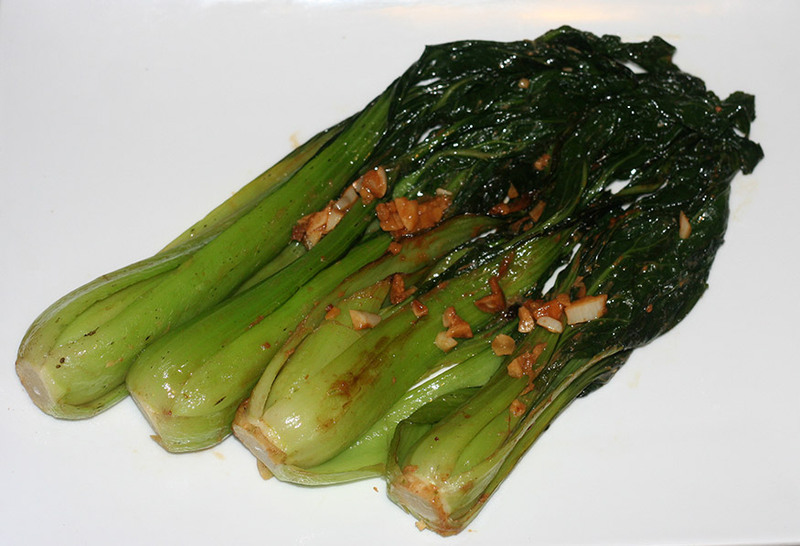 Add the cut bok choy to the pan and sear on both sides – about two minutes. In a small bowl, mix the miso with the vegetable broth and the tamari. Pour miso mixture over the bok choy. Cover the pan for 2-3 minutes to cook the boy choy a little.